Amazona has an Instagram account and regularly post relevant posts. Lovely images that received some responds every now and then. But the number of followers remained around 500. That was not enough. So Amazona asked if we could think of an idea to change this. There are several ways to increase the range of your Instagram account. For instance, using the right #hashtags, post beautiful images and actively respond to comments. But another way to increase your profile’s rage is to involve a social influencer; someone with a relevant group of followers on social media, who is willing to promote a product for you. The budget was limited, so we started looking for new opportunities for Amazona. We started by looking for an influencer that matched Amazona’s vision. Amazona is the only chalk paint brand that is completely vegan. There is no point in asking someone who only does it for the money to write something about Amazona. This person would not be credible and will never be able to connect with the followers emotionally. Eventually, the followers will notice this. So first, we were looking for someone who was also living a vegan lifestyle or at least who was really involved in this lifestyle. This eventually became Nina Pierson. Nina lives a healthy and conscious lifestyle and could fully be associated with the product. She has about 35,000 organic followers on Instagram, a large audience and a cohesive community. There is a lot of responses to her posts. So Nina really was a relevant person for Amazona chalk paint to work with. Of course, it is very smart to look for someone where you can find a link to the product or brand you want to promote. 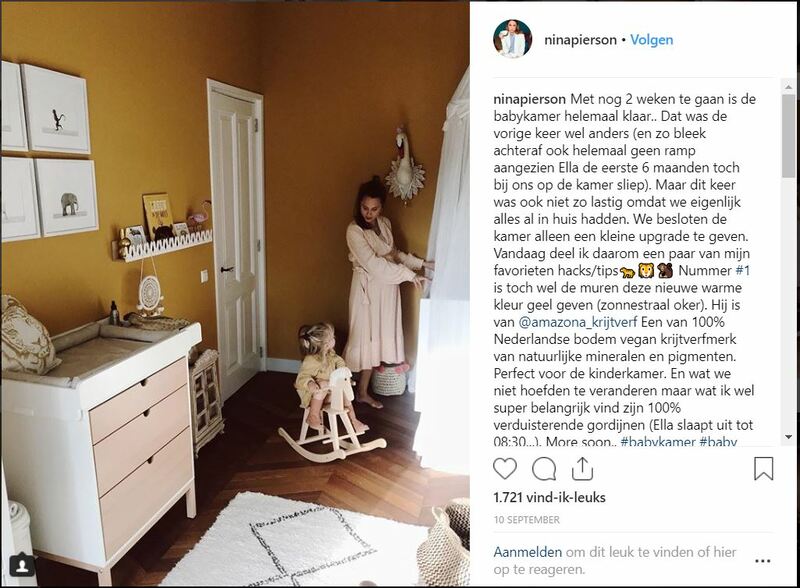 And we had a link with Nina Pierson: we were aware of Nina’s pregnancy and that she might still have to decorate the nursery. That was our catch. 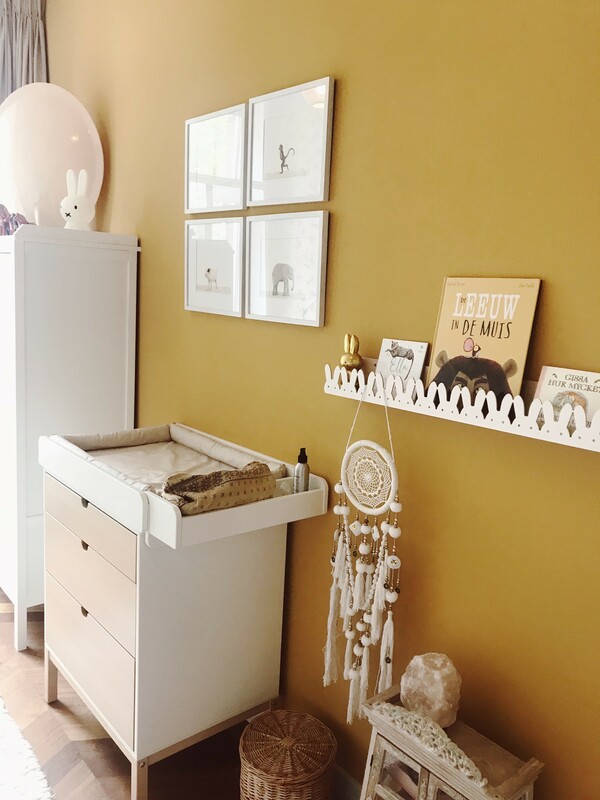 After all, how nice is it to paint the nursery with 100% organic, and therefore healthy paint that does not smell. 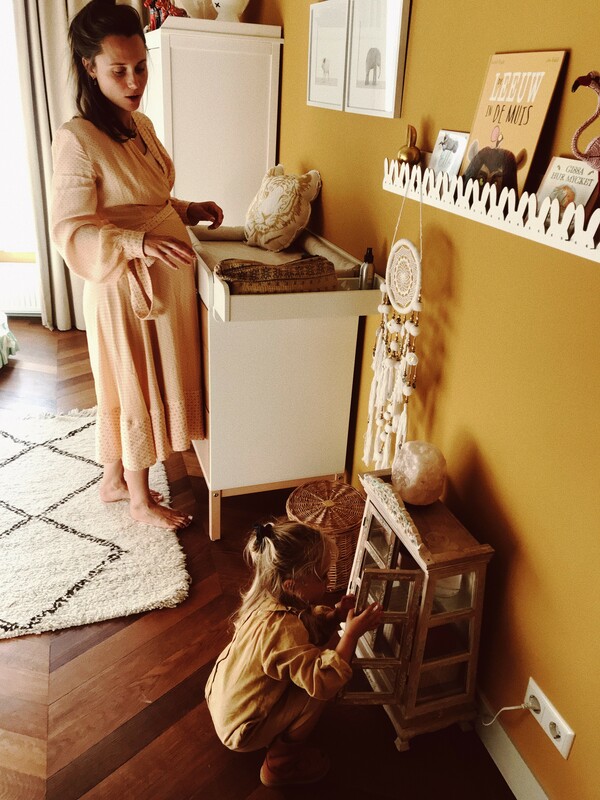 And luckily: Nina was very enthusiastic and decided to paint the nursery with Amazona chalk paint. Of course she was free to choose the color herself. After that, she immediately started with painting the nursery. Every now and then we had personal contact with Nina and eventually she has posted several posts. Amazona chalk paint is a 100% fully biological degradable chalk paint. The paint is traditionally made from exclusively high-quality mineral elements and natural pigments. This makes the chalk paint 100% natural and therefore unique in the Netherlands. The paint is also ‘vegan’ and can provide an ever-growing group of conscious people with beautiful chalk paint. Long story short: goal achieved!